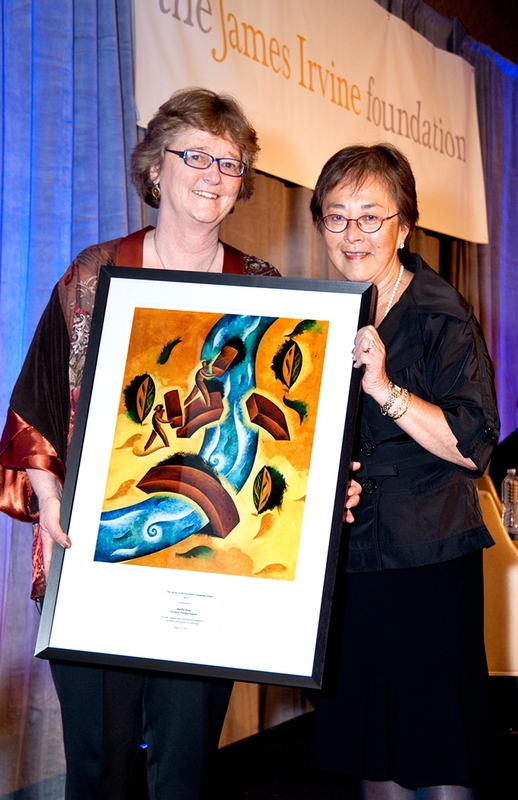 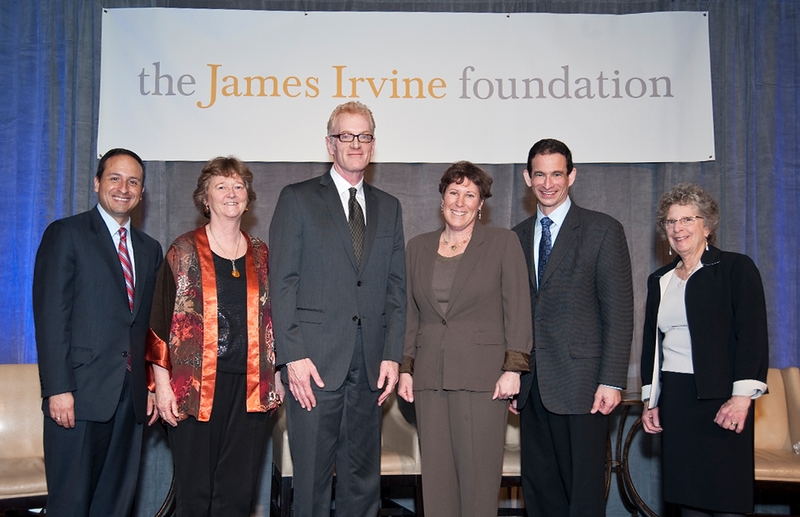 Congratulations to HPP Founder and Executive Director Martha Ryan, who was chosen to be a recipient of the prestigious 2011 James Irvine Foundation Leadership Award. 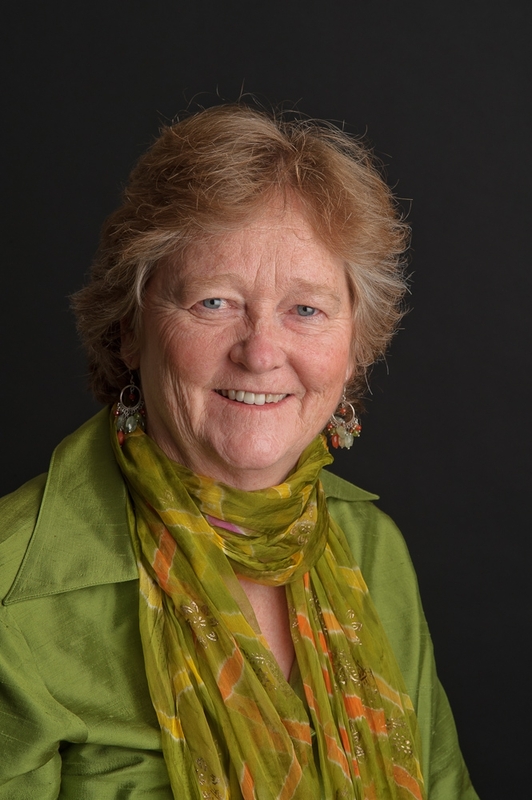 In recognition of her work to advance effective and innovative solutions to critical issues facing California, Martha received $125,000 to be contributed to HPP, plus additional resources to share proven approaches with policymakers and practitioners in the field. 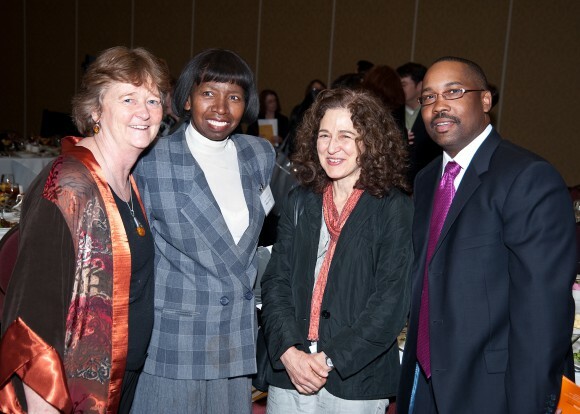 She joined four other Leadership Award recipients on March 3 at a luncheon in Sacramento with elected and appointed state officials (scroll down for event photos). 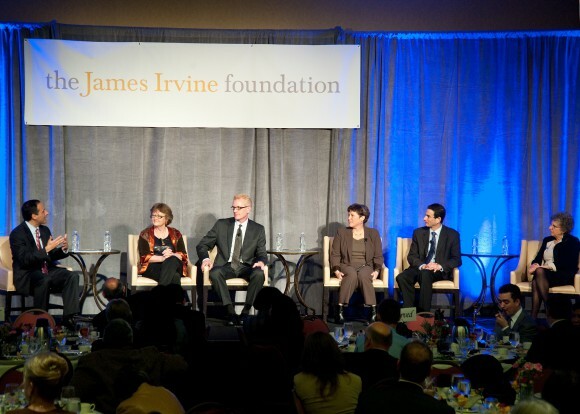 The James Irvine Foundation is a private, nonprofit grantmaking foundation dedicated to expanding opportunity for the people of California to participate in a vibrant, successful and inclusive society. The Foundation’s grantmaking focuses on three program areas: Arts, California Democracy and Youth. 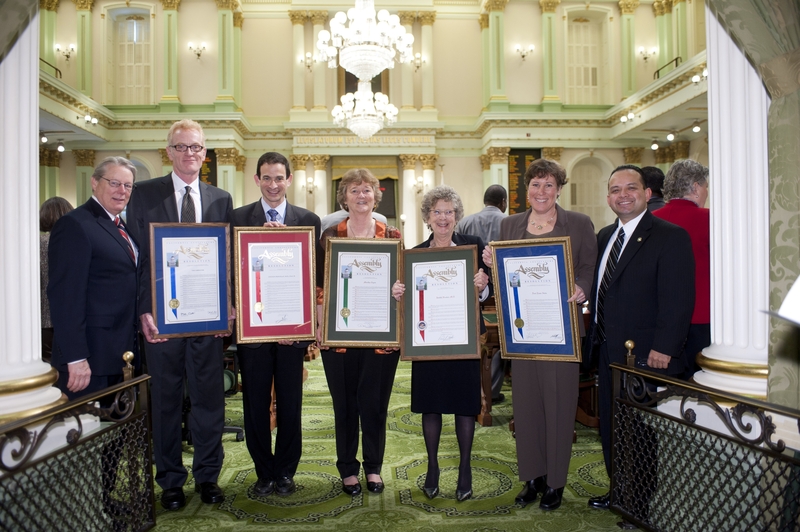 Since 1937, the Foundation has provided over $1 billion in grants to more than 3,000 nonprofit organizations throughout California. 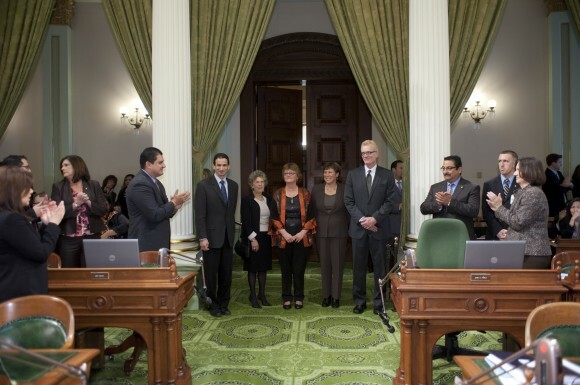 With $1.5 billion in assets, the Foundation made grants of $65 million in 2010 for the people of California. The award recipients (center) receive a round of applause from elected officials on the California Assembly floor. 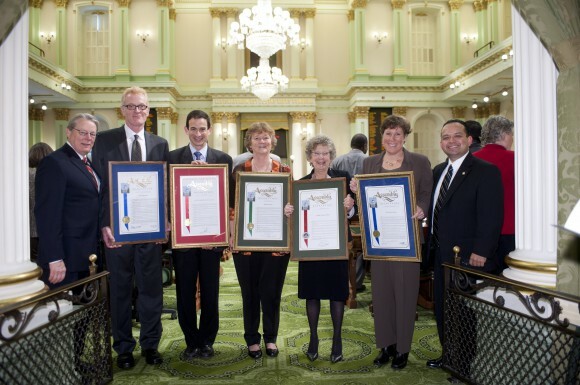 The award recipients with their California State Assembly proclamation certificates recognizing their innovative work benefiting the people of California.